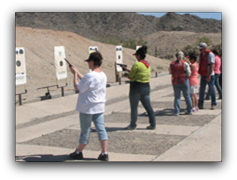 AWSA has several pistol and rifle shooting clinics and practices where we work on different drills and scenarios to develop shooting skills, build confidence and muscle memory. 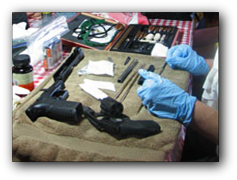 AWSA understands it is important to make sure your firearms are clean, maintained and safe to use. 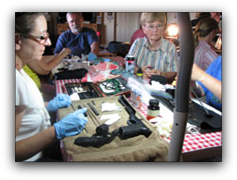 We have an annual gun cleaning class and picnic in early summer to make sure all ladies understand the process for cleaning and maintaining their firearms. The Arizona State Rifle and Pistol Association sponsors the Washington Birthday Match & Clinic. 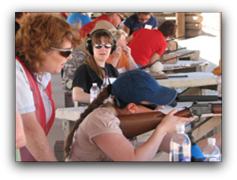 The AWSA ladies rifle team participates in the annual event. The tentative schedule for 2019 is February 23rd & 24th. We are always looking for ladies that would like to be part of a team. The match is shot from 200 yards and is very beginner friendly. We have plenty of practice times available to help prepare for the match. The Winchester/NRA Marksmanship Qualification Program is a self-paced skill development program. 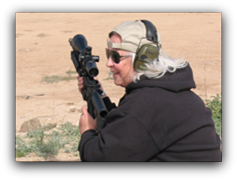 There are different programs for pistol, rifle, shotgun, air pistol & rifle, and muzzle loading. 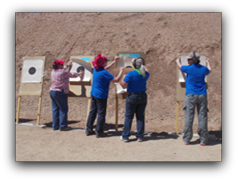 AWSA works on the pistol and rifle programs and all participants will earn a patch at the beginning and at each skill level a rocker and a certificate for the level completed. The ASRPA Annual Roundup Dinner is scheduled for Saturday, October 13, 2018 at the Pioneer Village. ASRPA is the Official State Organization of the NRA. ASRPA encourages everyone to bring the family out for all the fun, taking in the Museum, several ASRPA Firearms courses are being offered, and for the great food, and speakers! Copyright © Arizona Women's Shooting Associates. All right reserved.